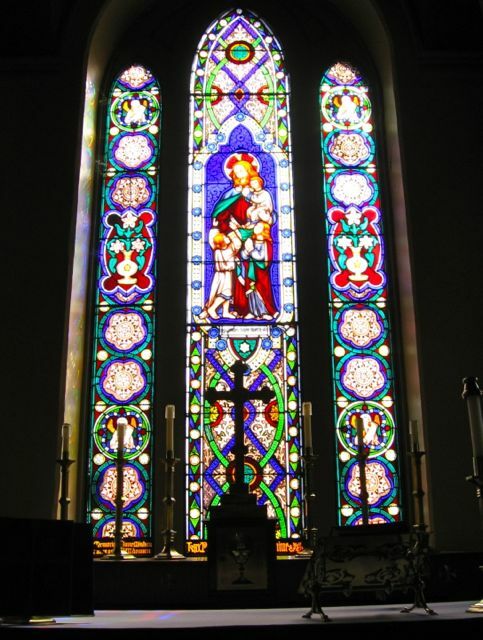 The stained glass window above the altar proclaims that children are central to our ministry. Each Sunday's worship service ends with a special blessing of the parish children, present and absent. They are welcome at all worship services, at special Christian Education programs during the week and as a part of our various social services ministries. We delight in their energy, their creativity, and their ability to always add a new dimension at any parish event.